Today’s holiday, established by the National Education Association in 1997, encourages children all across the country to celebrate reading and all of its joys and benefits. To commemorate the day, authors, illustrators, politicians, athletes, librarians, and families hold special reading events in schools, libraries, bookstores, and community centers. A love of reading is one of life’s greatest pleasures and begun early can be a powerful force for future success. 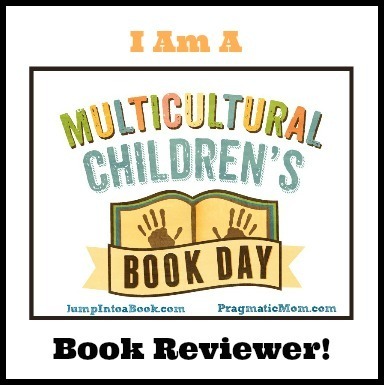 Celebrate today by reading with a child or on your own. There are fabulous worlds and stories waiting to be discovered. In a shipyard in Anacortes, Washington, a new tugboat is being built. He watches every weld and rivet and tells the workers to make him strong “so big waves can’t break me!” Tough Tug is happy to see that he’s being painted red—his favorite color. When he’s all finished, Tough Tug is launched into the sea, where the older tugs are waiting to welcome him. “‘Hooray! I’m floating! This is fun!’” Tough Tug says. He can’t wait to show what he can do. Image copyright Rob McClurkan, 2018, text copyright Margaret Read MacDonald, 2018. Courtesy of Two Lions. But going forward is a little tricky, and there’s so much to look out for when reversing. Speeding is fun, but in a minute, the little tug is shouting “‘Oh, no! Oh, no!…can’t stop!’” The older tugs are watching all this with dismay. “‘Little tugs need to know how to STOP!’” Arctic Tug says. Tough Tug apologizes but can’t help showing off—just a little bit—his agility and the way he can “swirl and twirl” this way and that. The other tugs are not impressed. They tell Tough Tug that his only job is to push and pull. He should practice THAT, they advise him. Soon Tough Tug is needed to take a Barge to Alaska. Even though the Barge is heavy, Tough Tug is up to the task. In fact, he’s so sure of his abilities that he wants to race Arctic Tug and his barge all the way to Sitka. It doesn’t matter that Arctic Tug has a head start or is bigger, Tough Tug knows he can catch up and win. Arctic Tug smiles and pulls away in a spray of ocean foam. When Tough Tug pulls up to the pier in Sitka, where Arctic Tug is waiting, he acknowledges defeat, but challenges the older tug to continue the race across the open sea to Anchorage. Tough Tug is met by high, rough waves, cold wind, and darkness, but he’s “‘not worried. I’m Tough Tug,’” he tells himself. Suddenly in the stormy gray clouds, Tough Tug sees Arctic Tug’s puffy steam clouds spelling out S-O-S. Tough Tug knows just what to do. He leaves Barge and heads for where Arctic Tug is stranded with no power. He throws out his tow rope and begins to pull. It’s hard work pulling Arctic Tug and Arctic Tug’s Barge while keeping his course in such heavy seas, but he knows he can do it. They get to port “safe and sound,” and when Arctic Tug thanks him, Tough Tug just smiles and says, “‘No problem, Arctic Tug! A tugboat helps its friends!’” Still, Tough Tug isn’t finished for the day. He must go back and retrieve his own Barge still out at sea. With grit and determination, Tough Tug pulls his Barge through the high waves all the way to Anchorage. With the Barge safely in port, it’s time for Tough Tug, Arctic Tug, and the other tugs to “Rock and Rest. Rock and Rest” because tomorrow they’ll be needed again. Kids fascinated by boats and the sea will find lots to love in Margaret Read MacDonald’s rollicking ocean adventure. From the time he’s welded and riveted in the shipyard, Tough Tug has a can-do attitude that little ones will appreciate. He loves his color, his name, and his special abilities. Although his skills need practice and are a bit haphazard at first, just like children, Tough Tug learns to do his job well and puts games aside when he’s needed most. As Tough Tug rescues Arctic Tug, readers will cheer his bravery and perseverance. MacDonald’s straightforward text and first-person dialog from Tough Tug emphasizes the little boat’s self-confidence, willingness to learn, and readiness to help, making him a positive role-model for kids. Three-word action phrases sprinkled throughout describe the motions and duties of tugboats. Rob McClurkan knows that kids love to see how things work and starts the story with a sneak peek into the process of building a tug. In the shipyard, workers—tiny in comparison to Tough Tug—rivet and weld metal plates over an iron framework. In the next spread, Tough Tug is painted, and with a flip of the page, he is launched from a ramp into the sea. McClurken’s cartoon tugs—the older ones sporting mustaches—have expressive faces that register their happiness, fear, annoyance, and acceptance in ways that children will understand and which offer opportunities for discussion. The dark storm that whips the sea into high waves provides just the right amount of suspenseful peril, and as Tough Tug is accepted into the group of older, more experienced tugs, the storm abates and the sun comes out to shine. Tough Tug would be a welcome book for young readers navigating new places or experiences and for those excited by boats and vehicles at home and in classrooms. Two Lions sent me a copy of Tough Tug to check out. All opinions are my own. Discover more about Margaret Read MacDonald and her many books on her website. To learn more about Rob McClurkan, his books and his art, visit his website. Run and Race to watch this Tough Tug book trailer! The ships below need pulling to their destination. 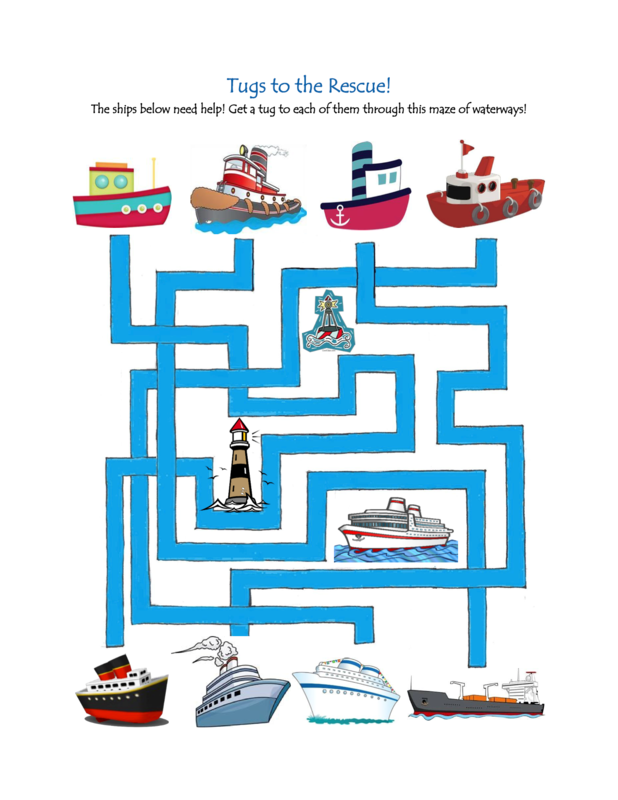 Can you match each tug to its ship in this printable Tugs to the Rescue! Matching Puzzle?